Business and industry has gotten a reputation in some quarters as being a heartless, soulless behemoth whose only interest is in racking up money and profits for the people at the top. But even if that reputation may be partially deserved, there’s much more to commerce than that. Business and industry is also where many millions of ordinary people serve their communities day in and day out, stitching together with their mind, their hands, and yes, their hearts, the fabric of human society. It would be impossible to list the billions of daily transactions and services we engage in for one another in the course of our daily work. The cashier ringing up your groceries, the mechanic fixing your car, the waiter or waitress bringing you your morning eggs and coffee at the diner, the pharmacist putting together your prescription . . . these and countless other activities that we do in the course of our business and employment are what keep us going each day. Most of the time we don’t even think about it. Vast amounts of daily labor and service just seems to happen so that we can have food to eat, clothing to wear, a place to live, and a few of the enjoyments of life. We may not even notice what a vital role commerce plays in elevating our lives until we see businesses and employees going above and beyond the call of duty to do exceptional things for the people they serve. Let’s look at a few recent, heart-warming examples. 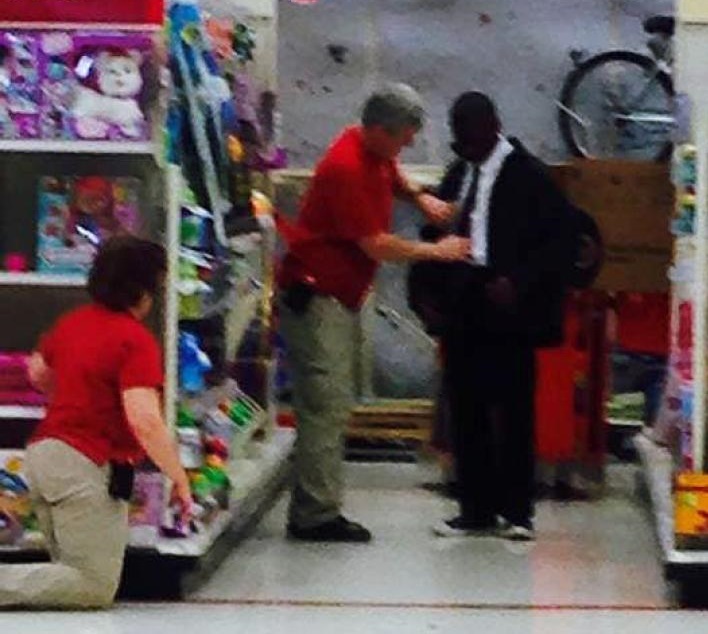 Yasir Moore, 15, went into his local Target store in Raleigh, NC, looking for a clip-on tie. His mother had insisted that he wear a tie for his first job interview, and neither he nor his mother knew how to tie a tie. But Target didn’t sell clip-on ties. Audrey Mark, a passing shopper, saw what was going on and took a blurry photo that quickly went viral. “You don’t expect humanity on aisle 11 of a big-box store,” she said. Read more about his story here and here. Jessica Leismann was stopped at a stoplight with her boyfriend, Charles Cook, and her 13-year-old son in tow when a carjacker rammed her from behind as he attempted to elude pursuing police. Leismann kept her wits about her. She jumped out of the car and, assisted by her boyfriend, threw the carjacker to the ground until the police caught up a moment later and cuffed him. The story of her bravery hit the local news, including the nickname “Mama Bear” bestowed upon her by a highly impressed local police officer. A local business was also impressed by the brave mom. When she went in to her local Kia dealership in Mesquite, TX, to deal with her rear-ended car, instead of getting the expected loaner vehicle, she went home with a brand new minivan, given to her for free (taxes and all) by the dealer. One Wednesday evening the diners at Bistro 82 in Royal Oak, MI, were pleasantly surprised to find out that their meals were on the house. 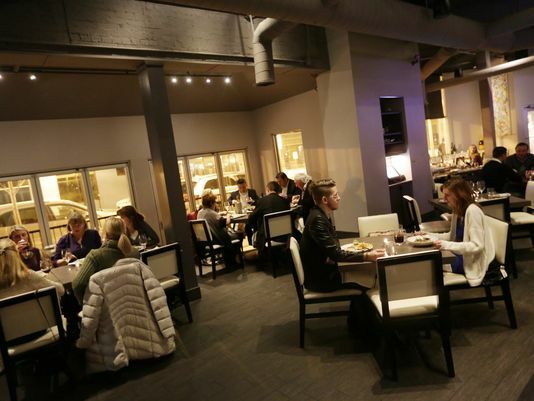 The restaurant’s owner, Aaron Belen, was celebrating the one-year anniversary of the trendy local eatery. But the free meals were only half the story. Bistro 82 also donated to the Royal Oak Boys & Girls Club the $5,182.19 that would have been the total dinner tab for the evening. Each of the three stories is about employees and business doing good deeds in their community. How about an entire business devoted to doing a good deed? In 2013 John D’Eri and his son Tom founded Rising Tide Car Wash in Parkland, FL, with a special purpose in mind. You see, John’s other son, Andrew, is autistic. And as Andrew approached his 22nd birthday, when most institutional support for autistic people stops, his family was unwilling to see him “fall off the cliff” into the typical scenario of being stuck at home, unemployed, for the rest of his life—which usually means going backwards both mentally and socially. So John and Tom decided to found a business that would employ autistic adults doing work that was a fit for their character and skills. A car wash turned out to be an ideal candidate. It requires engaging in a detailed, repetitive work process that autistic adults find both suitable and satisfying. The result is a non-profit business that puts to work the skills and enthusiasm of autistic adults while providing a real and appreciated service to the local community. Perhaps, as cynics claim, many of the charitable deeds done by businesses are aimed at PR and making a profit. And yet, it’s still people serving people, and doing good deeds for their communities. Are any of our motives pure, and purely altruistic? Perhaps there are some mixed motives in many instances of business kindness. And yet, multiply these stories by thousands per year all around the world, and add in the countless small acts of kindness and service that people do in the course of their ordinary working lives, and you have a powerful forum for spiritual growth. Isn’t learning to love and serve our neighbor what our life here on earth is all about? And doesn’t business and industry put us to work providing goods and services for our neighbors? At its heart, business and industry solves problems in our daily lives. Successful entrepreneurs see a need, and provide goods and services to make our lives easier or more comfortable. A thriving community rests on the shoulders of a strong business sector. In ways great and small, known and unknown, countless businesses demonstrate kindness and caring. Perhaps some companies do deserve the bad publicity they get. But let’s not forget that business and industry also provides a forum where billions of people devote their lives to serving their fellow human beings day in and day out in more ways than we can count. In this way, getting out and engaging in business is a major pathway toward the community of heaven—where all people love and serve one another with joy, as an expression of God’s love for all people. A lovely Sunday morning post from Lee over at Spiritual Insights for Everyday Life. Thanks for the reblog, Eva! So I am in a service/retail industry and I would agree but I have encountered the attitude that everything I do is for profit and I’m sucking the money out of sad helpless people who have no other choice. It’s a hard line to walk. Thanks for stopping by, and for sharing your thoughts. Quite honestly, I just don’t see how providing goods and services that people need is “sucking money out of them.” It costs money to provide those goods and services, and in modern society we all need money to survive. The jobs we do and the money we get for them are the way we serve one another’s needs and wants. What’s wrong with that? It’s hard to hear people criticizing the work we do every day. But there will always be critics. The important thing is to keep serving your customers, and providing them with the things they want and need for their daily life, and for their comfort and pleasure. As long as your heart is in the right place, and you actually care about your customers and their wellbeing, you can safely ignore the critics taking potshots at you from their comfortable armchairs. I have several questions about morality in business. This topic hits pretty close to home as it ties in rather closely with my degree and will dictate my future job. I understand those acts of kindness for your every day employee. What they do is provide a service to others and earn their ends meet with it. However, what about that accountant in a large company, or a marketing director, or analyst, or market researcher? Their services are directly tied to the big suits at the head of those corporations. In most cases they serve the interests of those suits and do not have much opportunity to do any good during their working day. That is the reason I am two steps away from abandoning my degree. I am not sure I will be able to be happy by directly serving corporate greed and the interests of people whose primary goal is to extract every last cent from the consumers and let them lie when they can not pay anymore. How can one love god and love others when one knowingly serves those people? Building on that there is the question about selfishness itself. Altruism is not possibke in today’s society that encourages individual progress (sometimes at the cost of others) and competition. Where does one make the cut? What if one has the choice between and well-paid job that allows one and their family to live a fulfilling life, and a job that serves a good person but will result in one turning every cent twice and becoming unhappy in today’s society. I feel extremely uncomfortable with that thought. It is selfish to want to get by in this life, but is throwing away your chance to become a better human being in this world wise? But selfishness is a destructive thing, but this is what society is built on. This is my daily struggle. To find the balance, although I tend to move towards altruism and suffering for it. This is also the reason why I am not sure whether to continue my economics degree. As long as we’re living here on earth and dealing with human beings and human society, life will be an imperfect mix of good and bad. If you’re looking for the perfectly good and spiritual career in today’s business world, you’re going to be tilting at windmills. Having said that, the business world is not all bad, either. It often gets a bad rap in the popular press, but every legitimate company exists only because it provides some goods or services that people want. Some of those goods and services are better than others, of course. Some are downright harmful. I would certainly recommend that if you finish your degree, you seek out a job with a company that provides goods and services that you think make a positive contribution to people’s lives and to society generally. If you can feel good about what your company is producing, you can have some sense that even if you may be a cog in the corporate machine, at least it is a machine that is providing some positive benefit to people. Some companies are better than others. If your training is in accounting, marketing, and so on, there is a wide variety of companies you could work for. Picking one whose products and culture you can respect is the first step toward having some sense of self-respect and worthiness in your career. Having said that, companies must survive in the real world, where competition and the bottom line determine whether a company survives and thrives or sinks and fails. This is not all bad. It means that companies must produce a product or service that people want at a price they’re willing to pay. Unfortunately, this may mean squeezing every last ounce of productivity out of their employees. And it may mean that sometimes heads get cracked together and people get fired. People at the upper levels of management in large corporations must make difficult decisions that balance the life and health of the whole company against the well-being of the company’s individual employees. This doesn’t necessarily mean upper management is always heartless and cruel. And even if they’re not, they’re the ones who have to make the tough decisions. Though it would be nice to have heaven on earth, we still do live in this imperfect world with imperfect human beings and the imperfect systems we humans create. And of course, some companies are truly bad, rapacious, immoral, and unethical in their business practices. If you want to finish your degree and follow a career in good conscience, you’ll need to avoid such companies even if they may offer you a more lucrative position than you could otherwise get. It’s not worth selling your soul for a nicer house and a fancier car. Yet there are plenty of good and decent companies out there that you could work for in good conscience. They won’t be perfect. But there is a growing awareness that the business world, too, is a place where people can be valued and the focus can be on providing goods and services to the public in a decent and equitable way. Even if some of these companies may not pay quite as much, you could work for one of them in good conscience, make a good living, and feel like you are contributing to the economy and to society with its many and varied people. Once again, the choice is yours. Just keep in mind that business is not all bad. People need the products and services that corporations provide. And as long as a particular business or corporation is providing those products and services in a reasonably ethical way, they are making a positive contribution to human society, and there is honor in what they do. I hope this gives you something more to think about. Feel free to continue the conversation and ask further questions if you think it will be helpful to you.